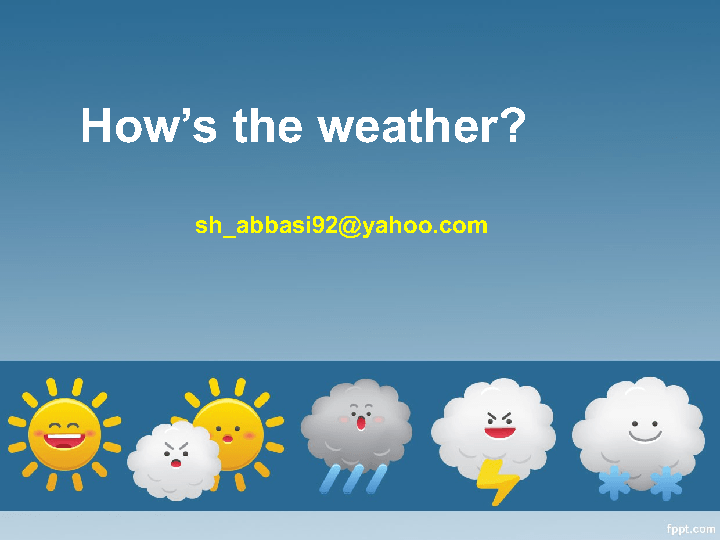 Here is a power point about weather. This relates to a story book "How's the weather?" (Dolphin Readers, level one). 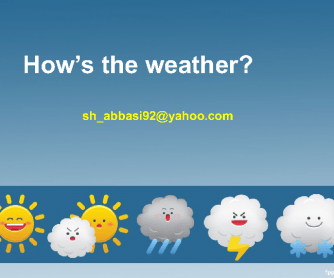 They are some pictures in this power point to speak about he weather and some adjectives to describe the feeling in different weather situations. Hope you enjoy it.